"Our colleagues Down Under got in touch with 911 product line chief August Achleitner at the launch of the Carrera S to learn more about the GT3 RS. The soon-to-retire Porsche official confirmed the next iteration will use an evolution of the 4.0-liter engine and the engineers will not go down the forced induction way. In other words, the flat-six will continue to be naturally aspirated, but a minor displacement increase is being prepared. 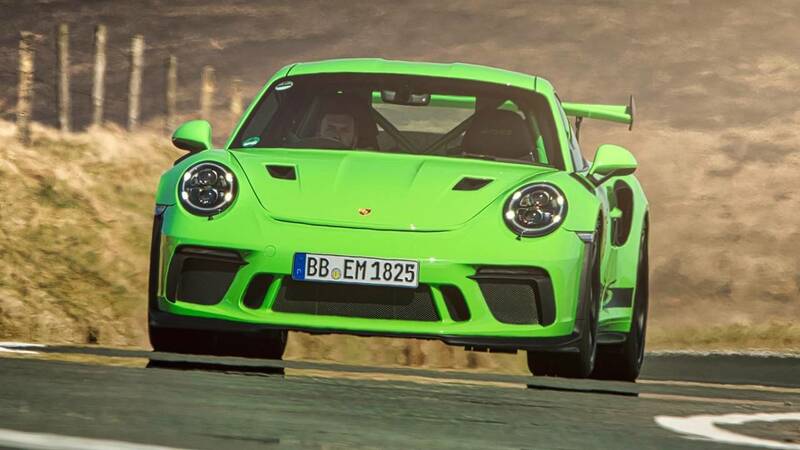 Achleitner went on to mention the bump over the previous 3996cc configuration will be so small that it won’t warrant a change from the 4.0-liter displacement of the previous GT3 RS. A few extra ponies are expected. One way to go would be by adapting the 4000cc engine found in the GT3 R race car, with Achleitner revealing there will be a connection between the GT3 RS’ engine development and the race-spec powertrain. While the aforementioned Carrera S and its all-paw counterpart feature a Panamera-derived new eight-speed automatic transmission, the track-focused machine will stick to its seven-speed PDK. Should you want a manual, you’ll be able to get one in the non-RS GT3. In regards to weight, it’s unlikely to change a lot over the old one that tipped the scales at 3,153 pounds (1,430 kilograms), but the report mentions a minor diet could be in the works. Better aero to boost speed during cornering while increasing high-speed stability is on the menu, as is more tech inside the cabin thanks to a digital instrument cluster." That’s a really really small increase of displacement if just going from 3996 to 4000cc. Keeping the 7 speed PDK makes sense to reduce weight as the 8 spd PDK was a big part of the weight increase for the 992 carrera. I wonder if for the GT cars it will be possible to delete any other parts of the 150+ lb weight increase suffered by the 992 carrera. All times are GMT -3. The time now is 12:19 AM.